Just three years ago the Department of Veterans Affairs (VA) was criticized nationally for allowing veterans to die while waiting to receive care. Today, under President Donald Trump veteran homelessness is down significantly and the VA is expanding its capabilities to care for our nation’s soldiers. As the VA becomes more efficient and effective, other agencies must look to their improvements to ensure they are also serving the American people in the best way possible. A 2018 Department of Housing and Urban Development (HUD) report shows that total veterans homelessness is 5.4 percent lower than in 2017. HUD reports a 10 percent decline in female veteran homelessness as well. Additionally, three states — Connecticut, Delaware and Virginia — and 64 communities have effectively eradicated homelessness among veterans in the last year. HUD Secretary Ben Carson attributes this decline to a close partnership made between the VA and HUD. While HUD works to establish temporary homes for veterans, the VA assists with job training and health care to help veterans find a more permanent living situation. Since this partnership was developed in 2010, veteran homelessness has declined by nearly 50 percent. The VA has been able to significantly increase the quality of life for veterans by looking outside its walls for effective programs. By expanding private sector options and telehealth services, the VA has become less of a provider of care and more of a resource for care options- a job it does far more effectively. 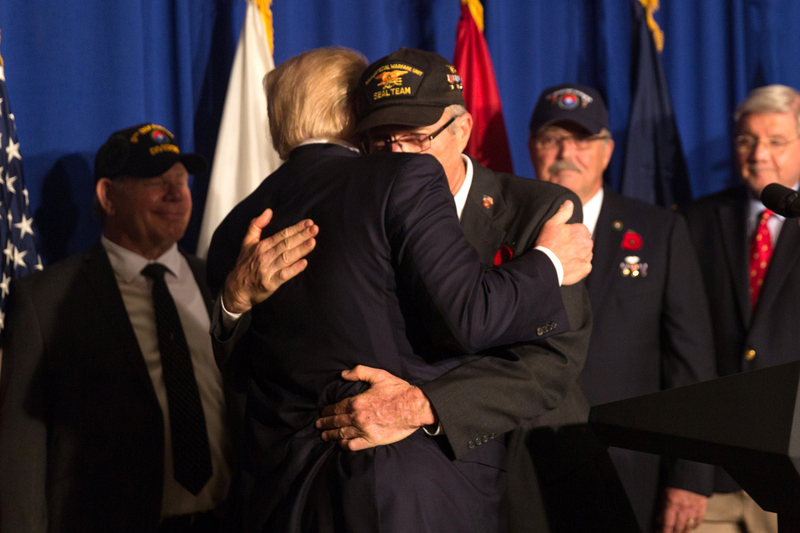 Earlier this year, President Trump signed the VA Mission Act into law to allow veterans greater access to private sector healthcare. In 2017, over 100,000 veterans in Texas alone chose to seek private sector care rather than VA care due to the VA’s inability to provide timely and adequate care. Overall, more than 740,000 veterans were waiting longer than a month to receive healthcare. The Mission Act allows veterans to seek better, quicker care while allowing the VA to focus on programs like the Veterans Homelessness Program. Additionally, the VA under the Trump Administration has increased access to telehealth services to make it easier for veterans in distant locations to receive care. Most recently, Apple is in talks with the VA to give veterans greater access to medical records and prescription data through their technology. By focusing their efforts on empowering the patient, rather than making the patient dependent on the VA for health services, the VA is able to branch into new areas of technology and innovation. This has undeniably helped decrease veteran homelessness to near eradication in some areas. As the VA facilitates strategic partnerships to better assist the lives of our nation’s veterans, all agencies should explore ways to make their departments more effective and efficient. Natalia Castro is the multimedia director at Americans for Limited Government.